Sonoma County offers a delightful mix of award-winning vineyards, oak-studded pastures, medium-sized cities, and sophisticated, small towns. Santa Rosa, the largest city in the county, features a vibrant downtown with a terraced walkway along the creek. Petaluma retains its rural feel, while many of its residents commute to San Francisco, just 35 miles away. The small city of Sonoma, with its historic plaza and wine-tasting rooms, is the center of the locavore food movement. Local farmers markets and fruit stands all around the county showcase the area’s bounty. When they aren’t enjoying a glass of wine or an exceptional meal, locals head for the outdoors. Sonoma County has hundreds of miles of hiking and mountain biking trails, leading over rolling hills or through redwood-lined canyons. Golfing, horseback riding, canoeing, kayaking, and fishing are also favorite pastimes. A relaxing drive along the coast offers ample opportunity to take a walk on the beach before heading to a local eatery for a cup of homemade chowder. Housing options in Sonoma County are as varied as the landscape. Near Glen Ellen, hacienda-style estates and Italian villas overlook the Valley of the Moon. Spacious homes in the rolling hills around Sonoma command spectacular views of vineyards. Santa Rosa’s historic neighborhoods, including Railroad Square, West End, and Cherry Street District, give it a quintessential, small-town flavor that belies its large size. Petaluma has retained many of its old Victorian homes, and its commercial core is on the National Register of Historic Places. In Healdsburg, houses range from Victorians in the central district to one-of-a-kind architectural masterpieces set into the rolling hills surrounding town. 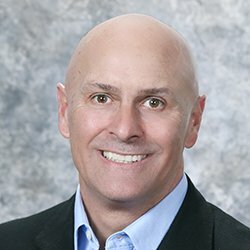 Whether you wish to sell a vineyard estate in Healdsburg or buy a home in downtown Santa Rosa, Craig Curreri is here to assist your real estate needs in every way.